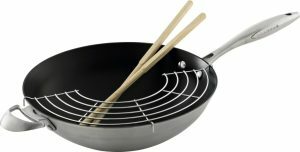 65100000CTX 10pc Set includes: 8-Inch and 10-1/4-Inch Fry Pans; 2-Quart and 2-3/4-Quart Saucepans with Lids; 10-1/4-Inch Sauté with Lid; 7-1/2-Quart Dutch Oven with Lid. 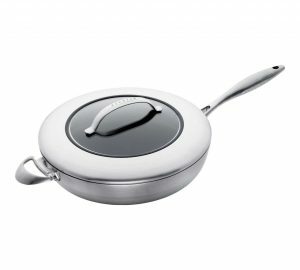 The Scanpan CTX 10-Piece features Multi-layer fused construction to give rapid and even heat distribution . 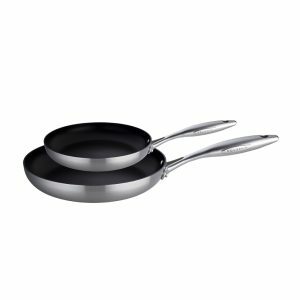 Recycled aluminum with Ceramic Titanium PFOA-Free Non-stick surface and 18/10 Stainless Steel exterior. Pans are oven safe . Stainless Lids include glass window to view food. Lifetime warranty. 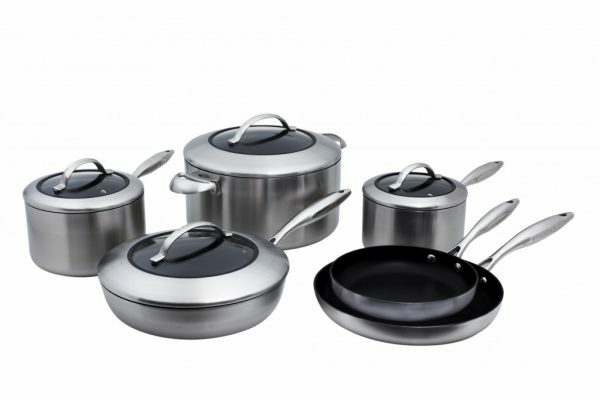 65100000 CTX 10pc Set includes: 8-Inch and 10-1/4-Inch Fry Pans; 2-Quart and 2-3/4-Quart Saucepans with Lids; 10-1/4-Inch Sauté with Lid; 7-1/2-Quart Dutch Oven with Lid.